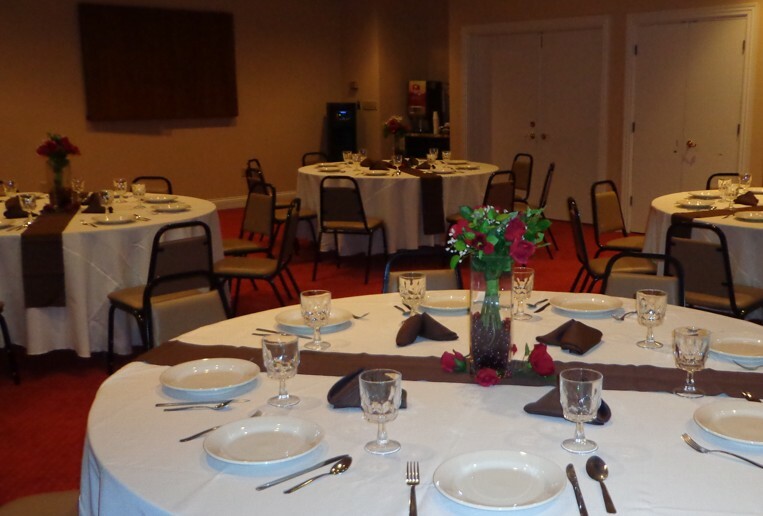 Our event space is the perfect place to host your next function! Contact Liz Kehler, Sales Manager, at (304) 598-1000 or liz@euro-suites.com for more information. Our open and inviting pre-function space offers 586 sq. ft. of space perfect for registration tables, greeters, displays, receptions, break and buffet meal set-up, or a gift area. Our WV hotel staff will work with you to create your vision. Appropriate for interactive discussions and note-taking sessions. 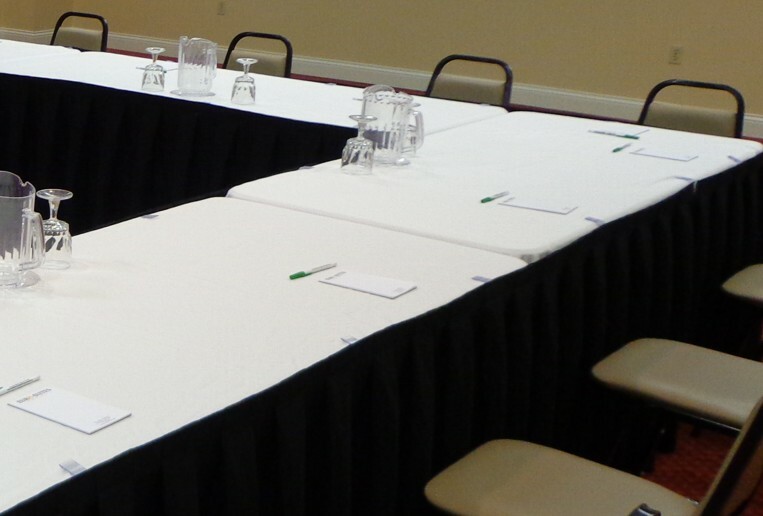 This set-up accommodates seating up to 30 people Conference Style, and 42 using the Hollow Square. Appropriate for groups of fewer than 30 people seated U-Shape and 33 people seated T-Shape. These are best for interaction with a leader seated at the head of the setup. Audiovisual is usually best set up at the open end of the seating. Generally used for meals, sessions involving small group discussions or social events. A six foot round table seats 8 people comfortably. This meeting room style will offer seating for up to 64 people and encourage conversation. Appropriate for large sessions and short lectures that do not require extensive note-taking. This is a convenient setup to use before breaking into discussion, or role-playing groups, because chairs can be moved. 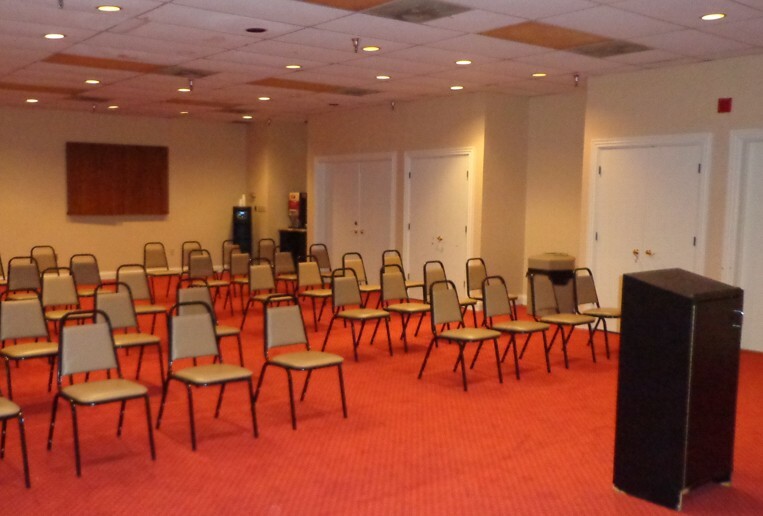 Theater Style seating is available for up to 80 people in the meeting room. This is the most desirable setup for medium to large-size lectures. Tables provide attendees with space for spreading out materials and taking notes. 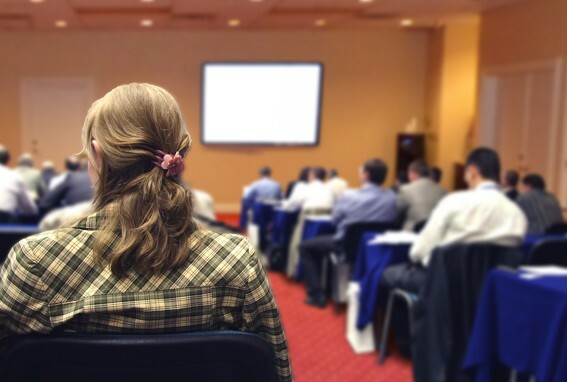 Our Classroom Style set up provides ample seating for up to 50 people. 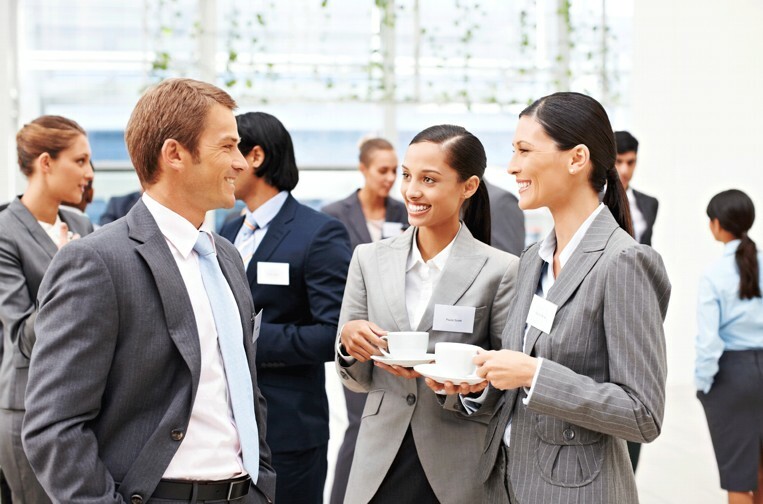 A Reception is generally defined as a stand-up social function where beverages and light foods are served. 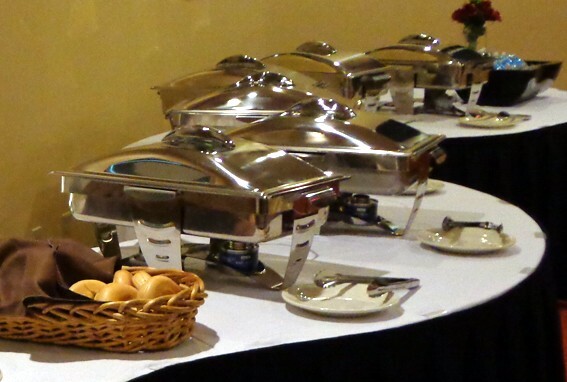 Foods may be presented on small buffet tables preceding a meal function in our meeting room or by utilizing the pre-function space right outside the meeting room. 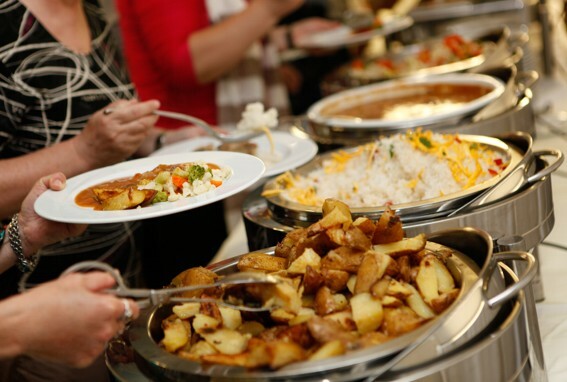 A variety of food and beverage options are available for your function. Download our catering menu here and contact the Sales Manager, Liz Kehler, for more information on catering services. Cash bar and Open bar services are available as well. 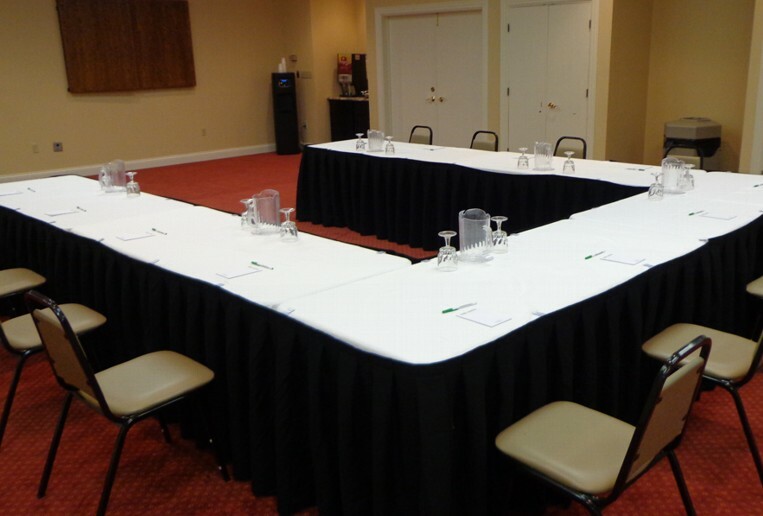 Meeting room rates include water, coffee, and hot tea station.